SalikoMall.com is a large online B2B marketplace that collates its extensive network of manufacturers, suppliers, wholesale traders and buyers under one roof to systematically map the needs and wants of one party with the supply capabilities of another whilst maintaining, quality, competitive pricing and timely delivery. SalikoMall.com also features a wholesale bargains section that enables manufacturers to liquidate their existing stock of products in a timely manner SalikoMall.com has a large database of products ranging from Automobiles, Building Materials, Food & Beverages, Electronics, Beauty Supplies, Clothing, Accessories, Appliances, etc. Register for FREE on SalikoMall.com by creating a Buyer Account. Search through thousands of Products being offered for sale by Sellers from around the world. Purchase listed Product(s) by contacting the Seller(s) directly and submitting a RFQ. Receive Proposals from the Seller(s) via your account. 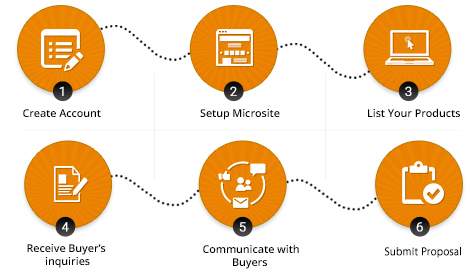 Communicate with the Sellers through Quick Inquiries, Messages, E-mails & Live Chat. 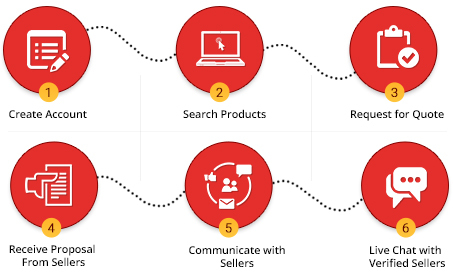 Initiate a Live Chat with Verified Sellers. Register as a FREE or as a Premium Seller by choosing from the four Membership groups: BRONZE (FREE) , SILVER , GOLD & DIAMOND (VIP) on SalikoMall.com. Fill in the required information about yourself and your company. List your products and attract Buyers. Access Buyer’s inquiries and contact them directly. Receive RFQs and submit Proposals from the Dashboard.